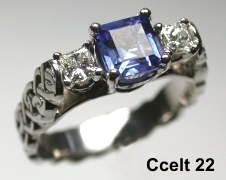 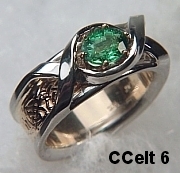 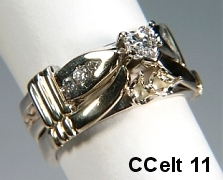 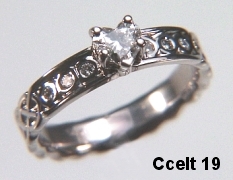 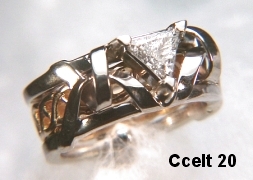 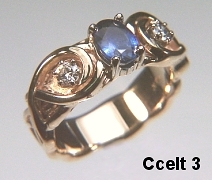 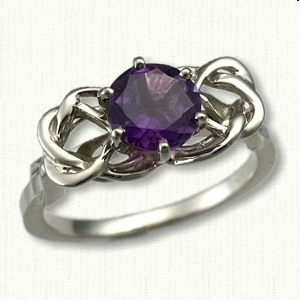 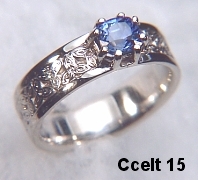 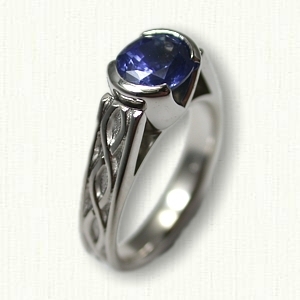 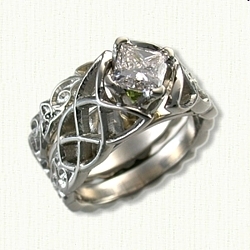 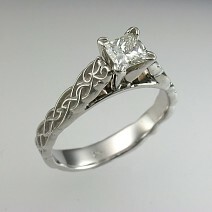 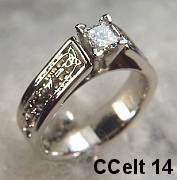 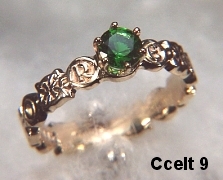 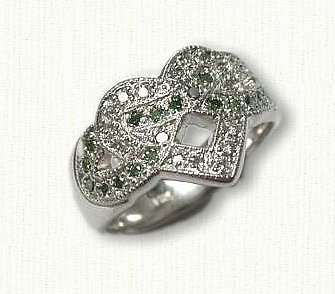 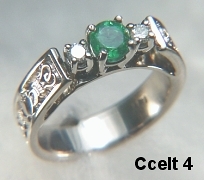 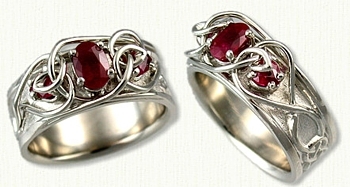 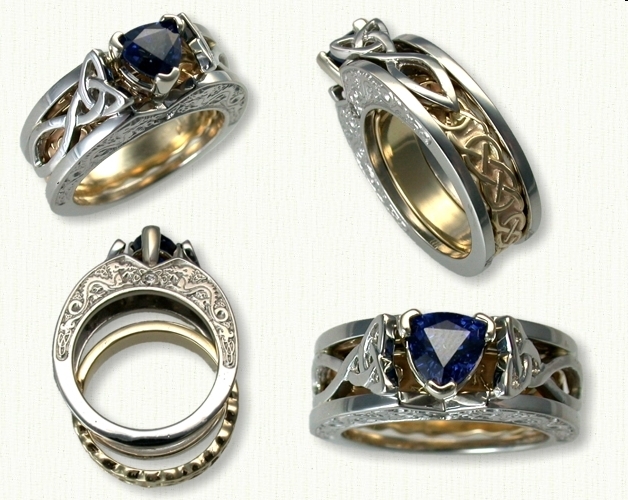 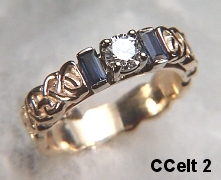 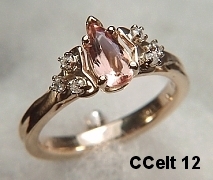 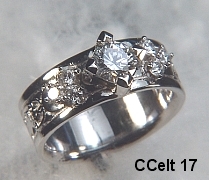 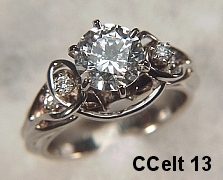 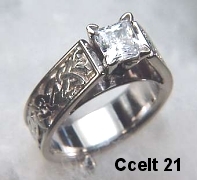 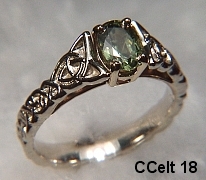 Custom Celtic Engagement Rings - custom celtic engagement rings w/ gemstones, diamonds @ best prices! 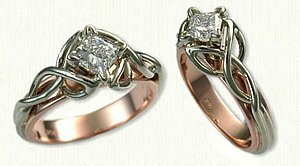 Description: We will gladly created similar engagement ring styles (Not Exact Copies as these are custom pieces) in gold or platinum with various combination of stones. 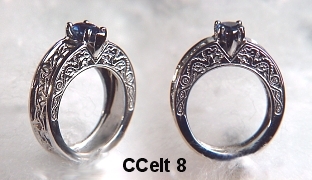 Bezel setting is only available for round stones. 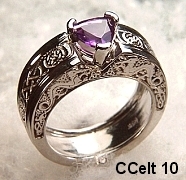 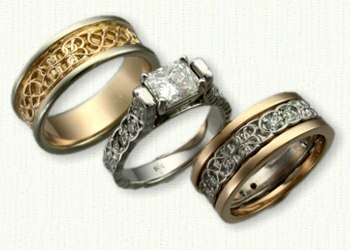 Please visit our Celtic Wedding Rings Collection for more deSigns and our FAQ's Page for more information. 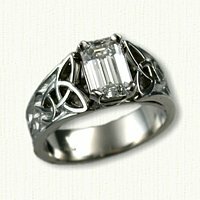 Please note: The appearance of your ring may be slightly different depending upon finger size and your choice of center stone. 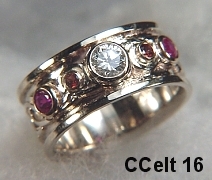 Matching Wedding Bands/Wraps/Cradles sold separately.